Hello my lovely people! I've been toying around with the idea of sharing my personnal style. I think it's part of this sort of improvement policy... I want to share more things with you. I want to be able to talk about a lot of things. A lot of things that could interest you. From an early age, fashion has always been a big part of my heart. For as long as I remember I have always loved fashion. I've always dreamt over the pricy and beautiful - expensive - things in my magazines. I've always dreamt of wearing them - someday. I would go into my mom's huge dressing and spend hours getting dressed with shoes and dresses that were way too big for me. My friend and I would set up (fake) fashion shows. It was a way for me to express myself. I express myself through my clothes. I wanted to make somewhat of a lookbook for you. A place where you could find inspiration for those days... You know, the days when you feel like you have nothing to wear. 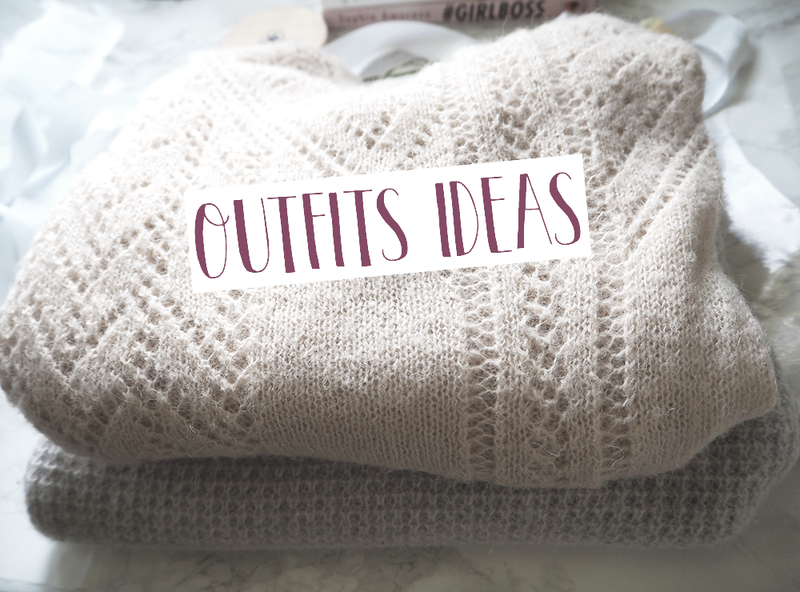 I've gathered a few options for you but I'm sure that if you want you can find something pretty similar in your wardrobe. Anyway, this is only how I usually dress. This is my personnal style. Your style can be pretty different and I'm sure it's even more lovely! I can't wait to hear what you think about my mini lookbook! 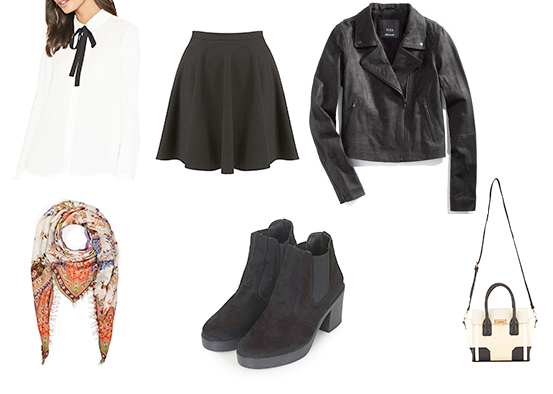 BLOUSE / SKIRT / JACKET / ANKLE BOOTS / BAG. SHIRT / SKIRT / SHOES / CARDIGAN / COAT / BAG. BOYFRIEND CARDIGAN / T-SHIRT / BLACK SKINNY JEANS / FLATS (SHOES) / BAG. 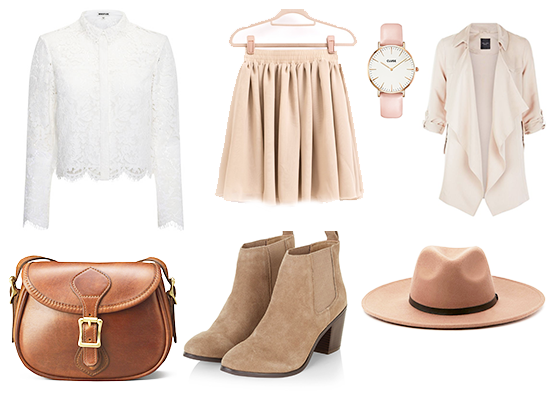 LACEY SHIRT / SKIRT / WATCH / COAT / FEDORA HAT / BAG / BOOTS. Je voulais réaliser pour vous un petit lookbook. Un endroit où vous pourriez trouver un peu d'inspirations pour ces jours noirs... Ces jours où vous ne semblez rien trouver dans votre armoire... J'ai rassembler quelques idées, différentes options de tenues. Je suis sûre que vous pourrez trouver quelque chose de similaire dans votre armoire ou plutôt de quoi reproduire ce look. Ceci n'est que mon style personnel. Peut-être que cela ne vous correspond pas. Et c'est tout à votre honneur. J'ai hâte de connaître vos avis!